That's a wrap! Director Mike Flanagan has confirmed that filming on Doctor Sleep, the sequel to The Shining, has been completed. Flanagan has been working on the sequel to Stephen King's seminal work for the last handful of months and now, it's off to post-production to get this highly ambitious sequel ready for horror fans all around the world to feast their eyes upon. Flanagan made the announcement on Facebook. Here's what he had to say about it. "So that's a wrap on Doctor Sleep! It's been a long, crazy, truly unique experience. I read the novel as soon as it came out back in 2013, fascinated and moved by the epic story of Dan Torrance and Abra Stone, but I never imagined for a moment that I'd be the person to bring it to the big screen. It's been an honor to spend the last five months with this fantastic cast and crew, and to be trusted with Stephen King's extraordinary story. One of the highlights of my career, without a doubt. Shine on, everyone. Shine on." Ewan McGregor is playing the adult version of Danny Torrance in the sequel. The story follows Danny years later, who is still dealing with the horrific events he experienced at the Overlook Hotel. He's an alcoholic and has his fair share of issues. Danny's life is once again shaken up when he encounters a young girl who also has the ability to Shine. They come up against a strange cult that seeks out those individuals who possess this particular gift. The cast also includes Rebecca Ferguson (Mission: Impossible - Fallout), Zahn McClarnon (Westworld), Bruce Greenwood (Gerald's Game), Alex Essoe (Midnighters), Jocelin Donahue (Insidious: Chapter 2) and Jacob Tremblay (The Predator). Tremblay's role hasn't yet been revealed, but it's possible he could be playing a younger Danny Torrance in certain scenes. As for Mike Flanagan, he seems like the perfect fit for the material and is on something of a hot streak right now. He's coming off of last year's Gerald's Game, which almost gave IT a run for its money as the best Stephen King adaptation of 2017, as well as The Haunting of Hill House, which has been received incredibly well, with Flanagan helming every single episode. He also has Ouija: Origin of Evil, a surprisingly good sequel, and the criminally underrated Hush under his belt. The man knows his way around horror and has proven he knows King's work well, as many considered Gerald's Game to be impossible to adapt for the screen. 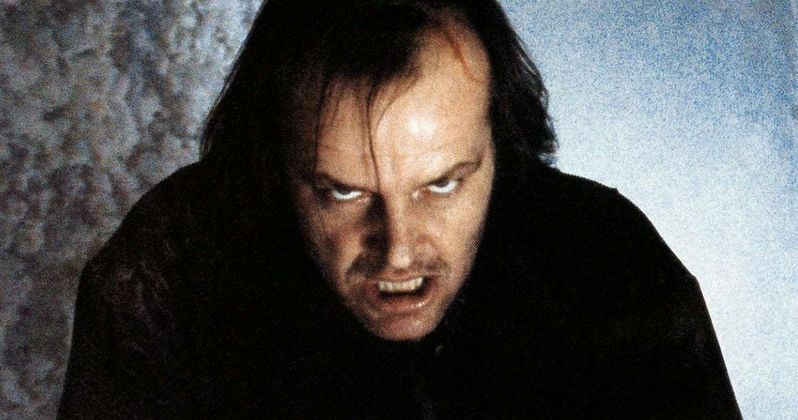 The Shining remains, both as a novel and Stanley Kubrick's movie (which Stephen King is famously not a fan of), one of the most important works of horror ever created. So doing a sequel all of these years later carries with it a lot of pressure. But with a great cast and seemingly the right filmmaker at the helm, this is something that horror lovers should likely be excited about, as opposed to trepidatious. Doctor Sleep is set to arrive in theaters on January 24, 2020. Feel free to check out Mike Flanagan's Facebook post below.